Waka Flocka was the next artist to stop by “The World’s Most Dangerous Morning Show,” The Breakfast Club. In this interview, Waka Flocka discusses being his own boss now and working his own schedule to provide that ratchet music for the streets. With the recent release of his “DuFlocka Rant 2” Flocka discussed the success of the 1017 / Brick Squad Monopoly camps saying the teams are moving away from the street life and venturing into different entertainment fields with the whole MOB now flourishing with releasing quality material in the music game. The club discussed random topics including Beyonce’s Super Bowl performance, Gucci Mane “LeFlare Career Day” and more. 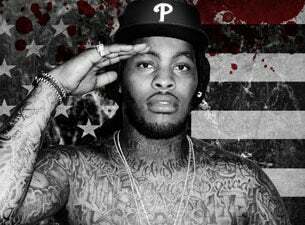 In closing, Waka discusses his upcoming third studio album “Flockaveli 2” due out October 5th which will have guest appearances from Wyclef and Timbland; and plans in the works to make an acting debut in a “Wire-like” series.